Elite Passers & Finishers Square Off in Winnipeg - The Point Data-driven hockey storytelling that gets right to the point. 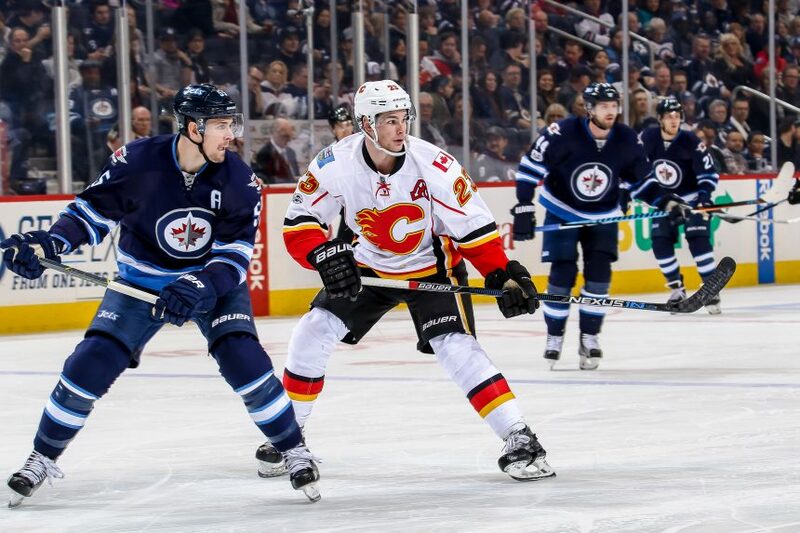 Two of the best forward combos battle it out tonight when the Calgary Flames take on the Winnipeg Jets at Bell MTS Place. It’s Johnny Gaudreau and Sean Monahan versus Blake Wheeler and Mark Scheifele. All four players have really hit their stride in December and will look to keep that going as they come back from their holiday break. These pairs are both so dominant because they have the perfect combo of passer and shooter. 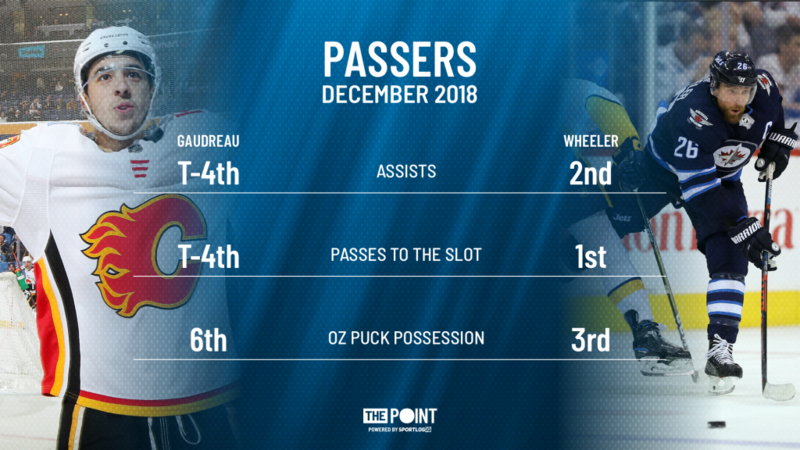 Gaudreau and Wheeler are two of the best passers in the league. They have a unique combination of patience and precision that allows them to hold onto the puck until they find the smallest opening to set up their linemate. The key to a great passer is pairing him with a guy who can bury the puck. 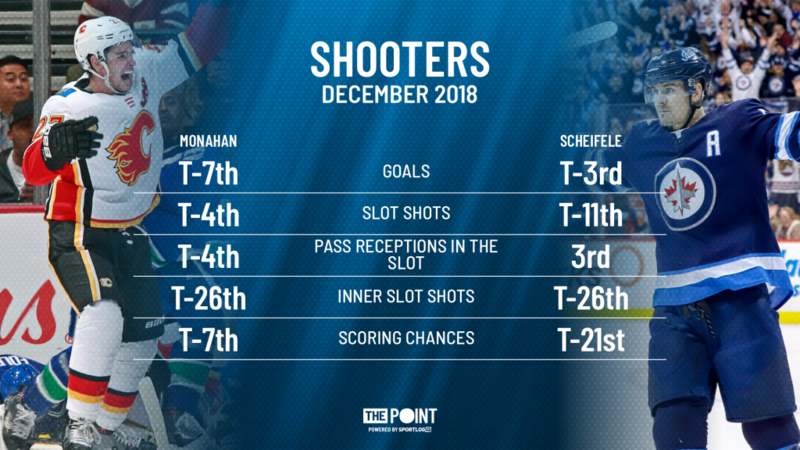 Monahan and Scheifele have no problem there. Both guys know how to find the quiet areas where defenders lose them for that half second and that’s all Gaudreau and Wheeler need. It’s also why Monahan and Scheifele are able to get so many high-quality scoring chances. We’ve highlighted before just how good Scheifele is at ripping the puck but Monahan is no slouch either. The two of them have great shots and love getting themselves in great scoring areas where they’re set up time and time again by two passing magicians. Getting hockey back after a few days off is always a good feeling and getting to watch the two of these pairs battle it out on the first night back just makes it that much sweeter. So, if you’re watching the Flames / Jets game tonight, watch how Gaudreau and Wheeler set up Monahan and Schiefele in prime scoring areas. They are two of the best in the world at threading pucks into tight areas as their favorite targets know how to finish.